The strong analytics behind Mobile Vaani helps make data collection and campaign activities on the forum completely measurable. We have SEC data about our user base, and can run quantitative and qualitative studies to measure various market sensitive parameters. Take a look at some of the analytics already generated by the platform. The Jharkhand Labour department used our network to understand rural-urban migration patterns. 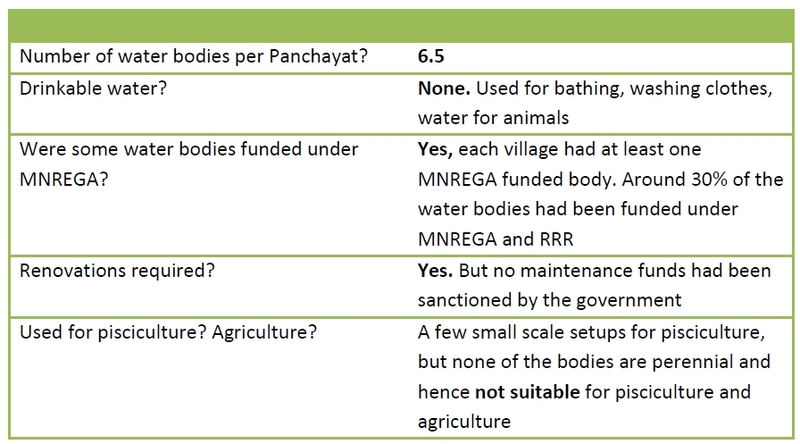 See the detailed report here. 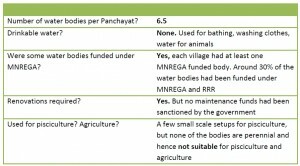 We found that out of all the MNREGA works funded for creating water bodies, almost none were being used productively for the intended purposes. See the detailed report here. You can participate in our ongoing data collection drive on financial inclusion, or propose your own research studies. Do you know about the Bharat Nirman Volunteers program? What kind of loan and credit opportunities are available in your area? How often do you need to go to a doctor? What has been your experience? Do you get to know of job opportunities in the cities?